Mobile apps are required to use the screen very wisely, and often there is not enough space to display both icons and labels for commands. This often calls for mechanism of help on demand. Unfortunately hover is not an interaction available on touch devices, which makes difficult to display standard tooltips. Contextual help may be very powerful if it is well executed. It is much preferable to view help information clearly associated to what they describe, than a global description out of their context. Help should be easy to discover, readily available, yet it should take minimal space, since it becomes irrelevant once user reads it. Unfortunately most of the applications which implement contextual help, either are difficult to discover, lack of a global view, clutter the UI or use too much real estate. 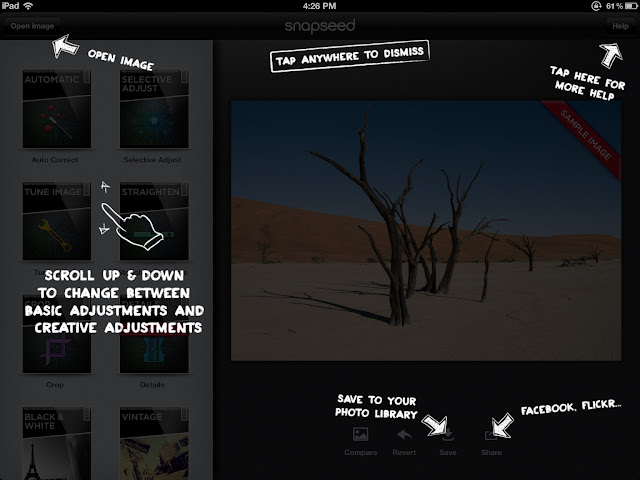 Only recently I ran into few examples of iPad apps which seems to overcome most of these limitations. 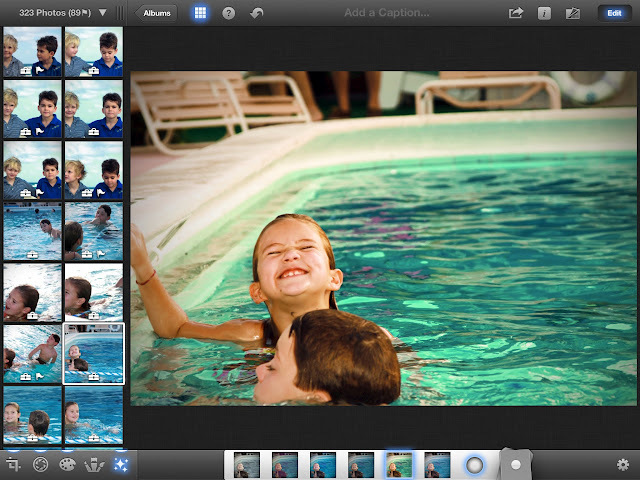 The most recent example of well executed contextual help is implemented in iPhotos. Help is easy to discover from the icon consistently present on the screen. When help is invoked it displays a set of callouts which describes the different interface elements in the current screen. Tapping on the help icon again will hide all callouts. What I like of this solution is that it provides a complete, yet contextual description of what I see on the screen. 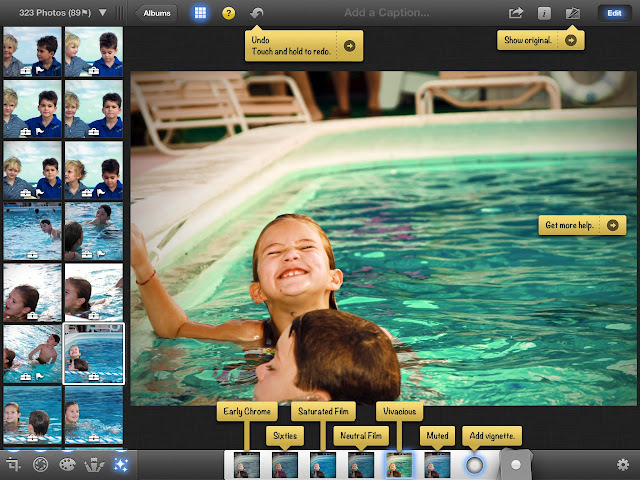 Other apps use a glass pain over the interface, to overlay help information in relation of their context. While glass pain solutions are more visually pleasing, they make harder to view the context they are associated to, and they don't work well when the UI elements to describe are as dense as in the case of iPhotos. Other apps try to compensate for this information density by showing one help clue at the time. This solutions has the drawback of tooltip based help, where user can't get a global view of all clues. He/she is forced in a tunnel view, where only one clue at the time can be uncovered. It is interesting as the lack of hover on touch devices has forces designer to come up with new, and in this case, better ideas. This is once again the proof that adding constraints may sparks innovation in the design process. I love this blog! :) I don't yet have an iPad so it's great to see design innovations through your eyes.